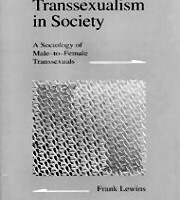 What is the difference between someone who identifies as “transgender” and someone who identifies as “transsexual”? I Am A Woman. Period. Stop The GOP’s (Gays & Gender Variants of Patriarchy) War on Women Born With Transsexualism! Thank You G Philly Magazine & Philly Black Gay PRIDE for the AMAZING Article!! Much LOVE! !